Montmorency is a great location for family portraits as there are plenty of wide open spaces and bushy parks. As a Montmorency family portrait photographer, we want to make use of the amazing parks and locations available to us. . Being natural light photographers, our preference is to use outdoor locations or indoor locations that have a lot of natural light. Plus you can stop off at Were Street to grab a coffee at one of the many cafes. 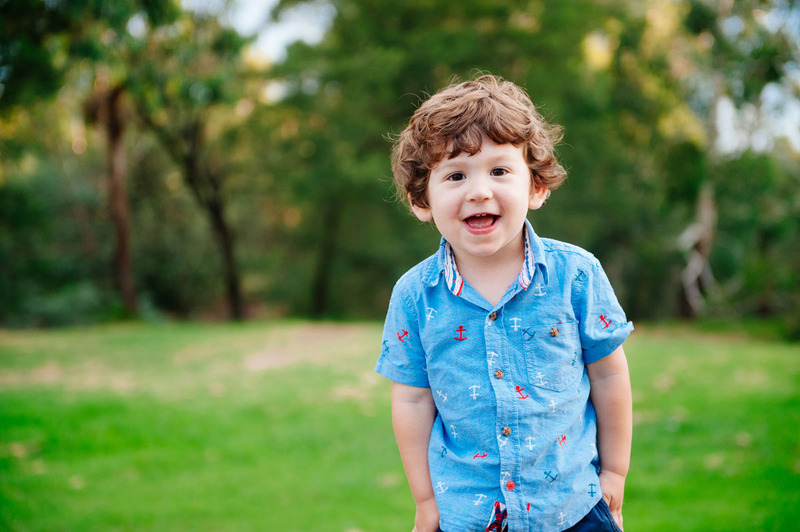 Our sessions are relaxed, fun and natural to make you and your family feel at ease during the portrait session. With the sessions approximately one hour in length, we will capture interactions and moments with you and your family. We are pleased to provide high quality prints, framed and canvas prints, albums and much more for you to display your beautiful images in your home. Kelly Anthony Photography is a local business and we love to be involved in our community and develop networks with local businesses and organisations. If you are also a local business within the Montmorency or wider Banyule area, please get in touch with us! We are always looking for new and creative ideas! Contact us today to book your Montmorency family portrait session!